The 10 Best Mexican Restaurants in West Virginia! Authentic Mexican food is an experience. You’ll never taste a bland dish at any of the 10 best Mexican restaurants in West Virginia, but you may have difficulty choosing just one! Made with and complemented by fresh vegetables, fresh meats, and vibrant spices, Mexican fare is a true treat for your stomach. Here are the 10 best restaurants in the state. If you want delicious food that’s served fast and by a friendly staff, QDOBA Mexican Eats in Morgantown, West Virginia, is the place for you. Not just your average fast food chain, this eatery specialized in letting you build your own meal from a variety of healthy ingredients. Burritos, nachos, quesadillas, salads and soups are just a few of the items on their menu that are served fresh daily. Try their homemade guacamole for a special treat. Boasting the best fish tacos in town and a great South of the Border flavor menu, Campestre Mexican Grill in Beckley, West Virginia, brings fresh and delicious together with great service and a friendly atmosphere. Perfect for a casual lunch with coworkers or a gathering place for friends and family, this happy eatery will satisfy your taste buds for authentic Mexican food. Fast, friendly service and great authentic Mexican food is what you’ll find at Grand Ranchero Mexican Restaurant in Parkersburg, West Virginia. Think you can’t find good south of the border food in Appalachia? Think again and prepare to have your taste buds enlightened when you visit this little eatery. 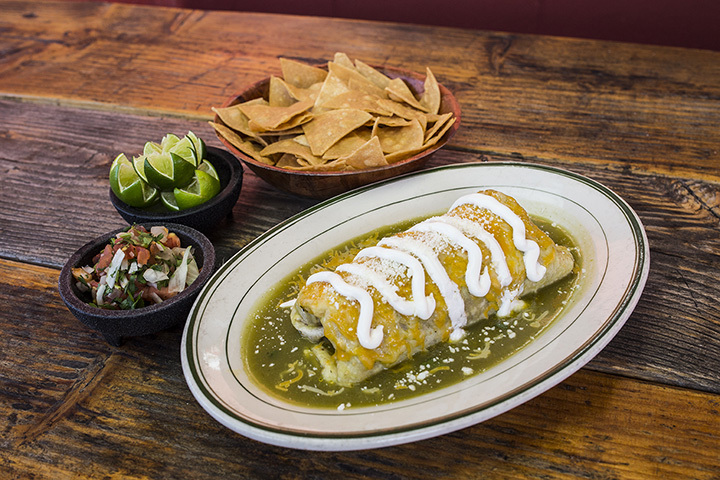 Considered a favorite spot by locals and a great returning destination by out of state travelers, Try the enchilada de paz filled with shrimp, crab, vegetables and rice. Looking for a fun place to take your family for an authentic Mexican experience? You’ll want to visit Tortilla Factory in Barboursville, West Virginia, but be prepared to leave with a full stomach and a smile. Besides traditional foods like queso dip and chips, sample the pineapple bacon guacamole or a sampler plate with chicken rolls, quesadillas, jalapeno poppers, and special chipotle mayo. Dinner entrée choices include beef barbacoa, a braised beef brisket with red onion, cilantro, and tomatillo sauce, or the best fish tacos around. For over three generations, Mi Concina de Amor in Charleston, West Virginia, has been serving authentic Mexican cuisine using local ingredients and family recipes and you can taste the difference. From the house-made guacamole to the enchiladas, burritos, chimichangas, and tacos, if you can’t decide on one dish, you can have a combination of several. If you finish the large portions and still have room for dessert, try the sopaipilla, a hot puff pastry served with honey, or the apple or cherry empanada. Don’t let this little eatery fool you with its down-home look and feel. If you want authentic Mexican food, choose from any item on the menu for a full-flavor experience served by a friendly and fast staff. You won’t be disappointed with the reasonable prices, variety, and large portions. Social media reviews have been a great help in driving hungry customers to this little taco shop that specializes in great Mexican food. But it’s that great food and fast, friendly service that keeps people coming back for more. Available for takeout and catering, everything is made fresh. Meat eaters and vegetarians alike will find something to love, and they have a limited, but good selection of beer and soft drinks. From the moment you walk in to the brightly-colored restaurant to the time you place your order, you’ll feel like you traveled south to Mexico when you dine at Plaza Maya in Charleston, West Virginia. You can find the best margaritas in town to go with your choice of house specialties such as steak guadalajara, a made-to-order T-bone steak served with mushrooms, rice, beans, and tortillas, or chori pollo, a rice-topped chicken dish with Mexican sausage and cheese, served with salad. For dessert, you can try the cinnamon pastry called churros or a choco chimichanga, a flour tortilla wrapped around a chocolate bar and deep fried, then served with ice cream. Good Mexican food with no compromise. That’s what you’ll find at La Gran Hacienda Mexican Restaurant in Wheeling, West Virginia. Traditional and modern food is offered with a full bar, and daily specials. Quick service by friendly staff makes the dining experience even better. You can choose from fish tacos to carnitas, fajitas to chimichangas. There isn’t much not to love. Offering daily specials, Chico Fiesta in Weirton, West Virginia, caters to customers by simple flavors that satisfy the pickiest palates. Diners can choose from a variety of seafood and steak menu items like tequila lime tilapia or shrimp quesadillas, or carne asada, thin cuts of roast beef grilled and served with rice, guacamole salad, beans and pico de gallo. There are a variety of salads and vegetarian items, and if you’re still hungry after your main meal, you can choose something from the dessert menu, like the traditional Mexican custard known as flan or fried ice cream.